1) Heat olive oil over medium-high heat in a large saucepan. Saute garlic, onion, celery, and bell pepper until tender. Stir in kidney beans, onion powder, salt, pepper, and hot sauce. Reduce heat to low and let mixture simmer slowly while you cook the rice. 2) Bring the chicken stock to a boil and stir in rice and butter. Return to a boil, reduce heat to low, cover and cook for 20 minutes without removing the lid. Remove from heat and let stand for 5 minutes. 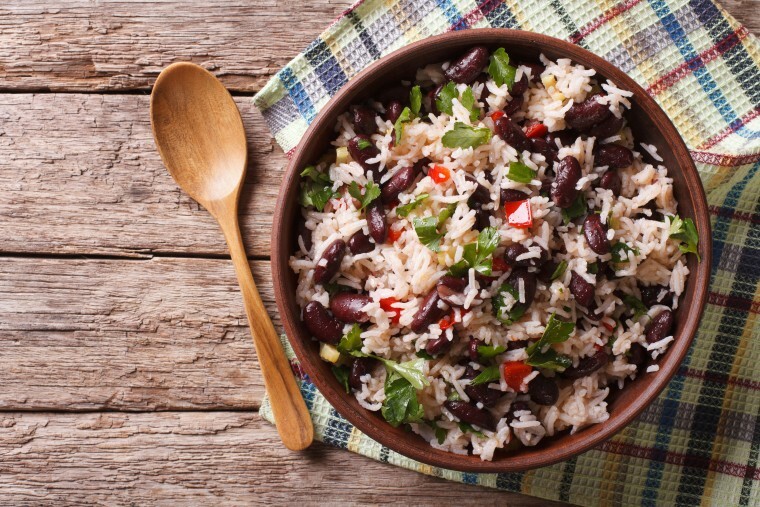 3) Fold rice and beans gently together and transfer to a serving dish. Serve garnished with cilantro.